If you are looking for boat repairs, our certified marine technicians are here to help you, year-round. Our team is qualified to service all makes and models of marine engines and drive trains. 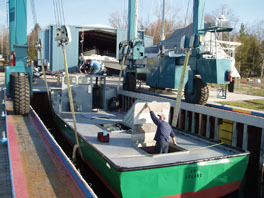 Specializing in varnishing, re-finishing, hauling, launching, and rigging, we are here to help you. 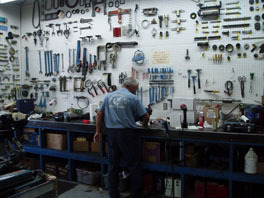 Our parts department is well stocked with factory authorized parts and accessories. If your engine needs a repair, our service team can assist in repowering, rebuilding, and servicing both gas and diesel engines. We are authorized dealers for Mercruiser, Volvo Penta, Yanmar, and Detroit Diesel engines when you decide it's time for an engine upgrade.